Car Dent Removal Essex - 2hour service - Money back guarantee. 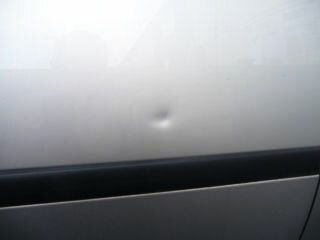 Wondering if your dent can be done? 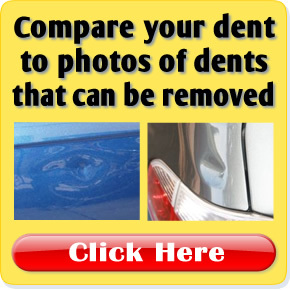 Dents can affect the value of your car by as much as £250 per panel. 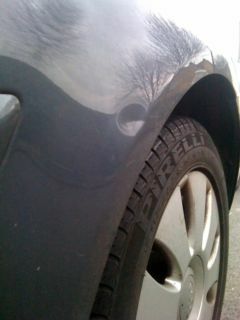 We can help advise you as to which dents detract most from the value of your car. This is a great solution, especially on prestige cars such as Porsche and BMW where one small dent can devalue the car by many hundreds of pounds. Not only is Paintless Dent repair far quicker, it means huge savings and can work out up to 70% cheaper than a body shop repair. Perfect for storm damage, hail stone dents, dings in the supermarket car park, wheeliebin dents, golf ball accidents and wind damage. Many dents can be removed completely, while with some dents it is possible to improve them to the point where they are far less noticeable meaning you can avoid the cost of repainting the panel. Using metal levers to massage out dents from behind body panels, sometimes called 'cold metal repair', paintless dent removal is a highly skilled task that requires many years of training to perfect. 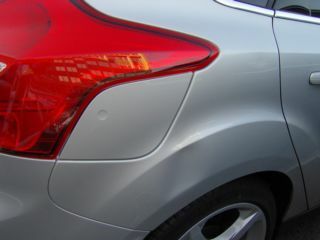 Because the dent is pushed out, there is no need for filling or repainting, you keep your original paintwork finish. Although the procedure can't be used on large metal dents with a broken paint surface, (see our scuff repair page, scratch repair page and Dents on Plastic Bumpers), the results of paintless repair to smaller dings are truly amazing. Dents in roofs requiring headlining/windscreen removal P.O.A. 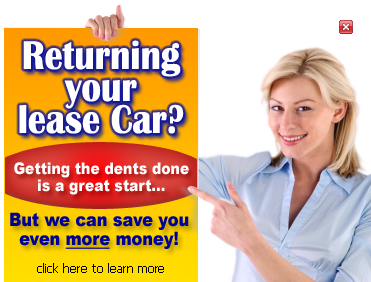 • If you have more than 8 small dents or a few tiny ones, you could get a few for free. • Get an Additional £12.00 Discount when you have a valet. • Not all dents can be done - they depend on accessibility. • For Hail Damage, please ask for a quotation. 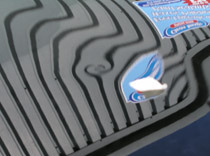 Some dents are difficult to remove - and we may not be able to remove them completely. But we do aim for 100%. If we are unable to make an 80% improvement then we will not charge you. If we can make a 80-95% improvement, but you feel that you just can't live with with the imperfection, and need a full body shop repair and paint, then we will give your money back - all you have to do is show us proof that you had a body shop repair within 30 days and we will give you a full refund. Why use us for Dent Removal? Proper workshop facilities, no cancellations for rain, no waiting in. We take all card payments. [more] Rain or shine, day or night - consistent conditions mean consistent results. 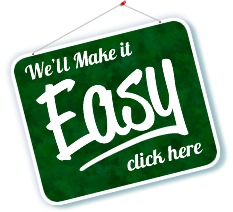 Our Fair Pricing Policy means you'll always get great value for money. [more] We tailor our services to suite your needs and give a price which is fair. No hidden costs! We make it easy, just look through our contact menu and click on the pictures of the dents that look most like yours, we will then tell if we can do it or not. 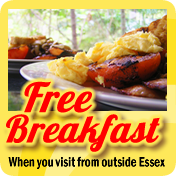 Then just call us to book in. Then at your appointment time, drop the car off and collect it car a couple of hours later. Meanwhile, you can take a walk into town, have some lunch and do some shopping, or if you have things to do, you are welcome to leave your car with us all day. "I'm very impressed with the job, the guys were really friendly and welcoming. Also, thanks for the cup of tea. Really good job & good customer service." "I'd like you thank you again for fixing the dent on my audi. 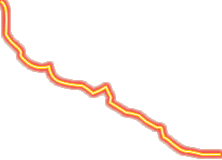 It looks perfect and definitely worth doing. Thanks to all your friendly and highly professional team." "I left my car at New Again Sat morning before work, was kept informed throughout the day on the progress of my car, it was ready to be collected mid afternoon. I think it looks perfect and I cannot even notice where the dent was and the scratch on the door has been completely removed as far I can see! Really pleased with the outcome and the price was alot cheaper than taking it to a body shop. I would recomend New Again, I found mentioned on this website that some women can find these places intimidating - definately not the case. Really chatty, friendly and helpful especially Aaron who was the person I dealt with. "A very professional service - the guys were helpful, friendly and the result was outstanding. It also saved me hundreds of pounds in conventional repairing (great in these credit crunching times...). I recommend this service 110%. Keep up the great work guys." "I just wanted to say thanks for a great job. I no longer look at the car and immediately look at that dent. Kieran that met us on arrival really knew his stuff and was informative without being the pushy sales type you often get with other companies. I've already recommended you to family, a friend with a "keyed" Ford C-max and on the Skoda owners site. Feel free to use the photos if you like. Both panels are virtually as new, and your service was very friendly and efficient." "Excellent friendly service, dents removed very professionally. Good value. I'm very pleased with the results." The dents on this Citroen were fairly awkward and although we weren't able to completely remove all traces of them, we were able to improve them sufficiently to avoid a needing a respray of the bonnet which would cost £200-£300. "I was very impressed with the great customer service I received when I brought my car to New Again. 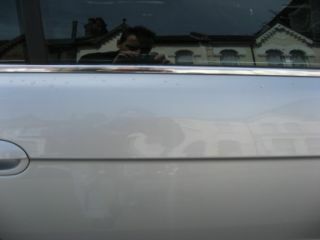 The work I had carried out (dent repairs and valet) was done in excellent time and the finish was fantastic. My car looks like new again. Thank you." 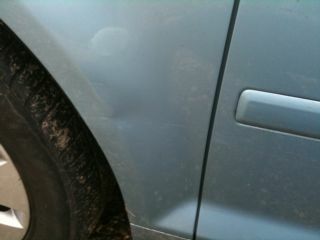 Price Range: £72.73-£144.55 for the first dent. ...and when it can't do, we show you why not. External Article: What is Paintless Dent Removal? From the Q&A section of Car Care Advice. 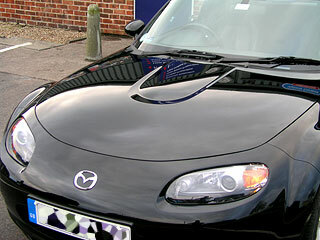 Please take a look through our Q&A for real examples and advice about paintless dent removal. Can you get small dents out of bodywork panels with ice? We gave it a try.